New Student Testing Has Begun! Recently my children came home from school talking about their new standardized tests – the SBAC (“S Back”) tests. 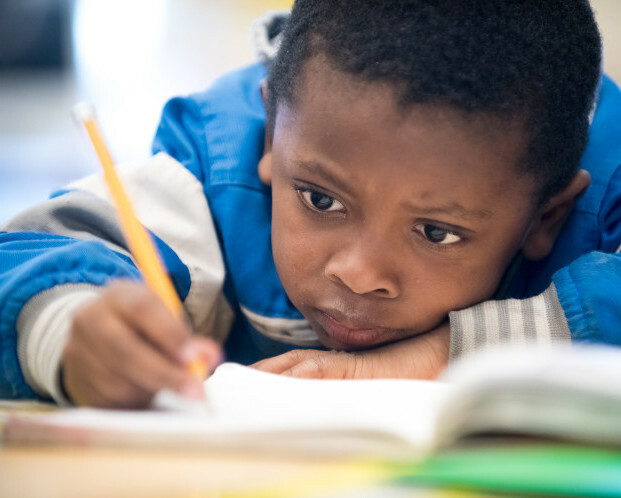 These state-mandated tests in English Language Arts and math reflect significant changes in how we teach and measure student learning. You may remember your child taking the STAR tests based on California’s state standards – those are no longer used. The “Smarter Balanced Assessment Consortium” (SBAC) tests measure student learning in the new Common Core State Standards, which were created to ensure that all students have access to strong academic content that prepares them for college and career. Last year, Oakland students participated in some practice tests, but this is the first official year of the SBAC tests. Most students in grades 3 – 8 and 11 will take the test. Some students with an IEP will take a different test. The changes to the standards and the new test have both caused significant controversy (or not so much), with some states opting out of some or all of the the Common Core standards, and some parents opting out of the tests. What is different about the SBAC tests? Common Core-based The SBAC tests measure learning in the Common Core State Standards in math and English Language Arts adopted by 43 states. Tests HOW you get answers The STAR test was multiple choice and students answered the questions by filling in a bubble. The SBAC is intended to assess if a student knows the answer to a question/problem andhow they got that answer. So for some questions, students must show how they arrived at their answer. More challenging With the new tests, student scores may decline because the Common Core standards are designed to get all students ready for college. But students, parents, and teachers should not be discouraged by SBAC scores. Scores are not used to determine whether a student moves on to the next grade. Rather, the scores are an opportunity to focus on student needs. Computer-based The STAR tests were paper and pencil. The SBAC is given on Chromebooks in Oakland. Adaptive To more accurately determine a student’s proficiency level, the test will adapt. During the test, the questions will get harder if a student is doing well, or easier if they appear to be struggling. Fast results Under the STAR test, schools and families received test results the following August. With the SBAC, results will arrive much more quickly. Time-consuming The SBAC tests require at least 7-8 hours of total testing time for each student over the course of several days. However, some schools are reporting that students are taking more than double that time. Be on the look out for your child’s test report. The report will include an overall score and a description of your student’s achievement level for math, English, and other information. Principals, teachers, and students are working hard during this time of transition. Please use your student’s results to begin a dialog with your school and teacher by asking how you can become involved. Have an SBAC story to share about your child or school? Click on the link below to post comments on Facebook.